It’s a damn fine question. 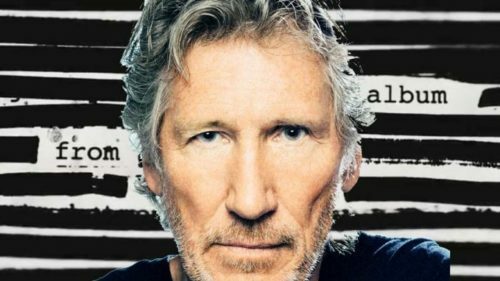 And I’m delighted to tell you that I’ve been working with Roger Waters on his new album Is This The Life We Really Want? A tiny clip of my voice appears on the track Picture That. I really hope you like it. I’ve been a lifelong Roger Waters fan, so for me (and I’m sorry for being a bit gushy here) this is a dream come true. I grew up listening to Pink Floyd while most of my mates were off their faces on Duran Duran. This is music I love, truly. It’s such an honour to be involved in this project. Out of the blue, I got a phone call asking if I’d be happy for one of my voice clips to be used. Well, you shoulda seen my face. I was over the bloody moon. I’m also passionate about the core idea behind the album. Anyone who’s read my Twitter feed and blog posts over the past few months will see this chimes with my world view. Read more here about the concept behind the album. Fantastic! Roger Waters has also been my hero since I was very young. I bought The Final Cut for my 11th birthday! The new album sounds great. Well done Emma! Well done Emma! Recently went to the Pink Floyd exhibition at the V&A museum – highly recommended. It is amazing the things that you get to do in this industry. But working on a Roger Waters album is nearly as good as it gets!